Thought I would show you our boxers favorite place to be, snuggled up to Henry. We got him from you a year ago February, and he is a great dog. He fit right in with my 2 large labs like he was their brother. 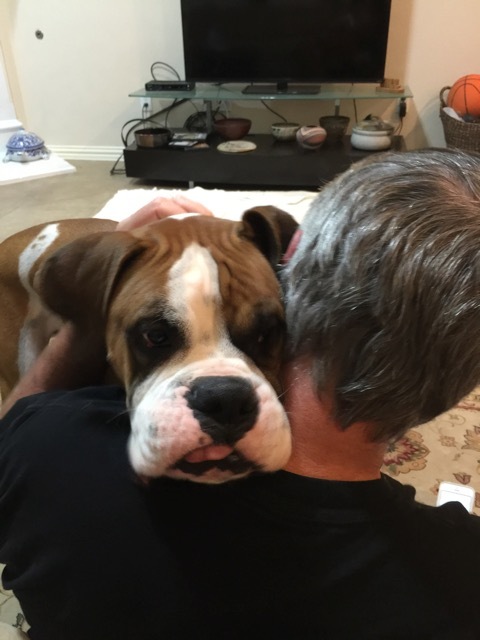 Thank you Austin Boxer for rescuing him!